PUFA Increases Postprandial Thermogenesis in Healthy Premenopausal Women & Beyond - 14% Increase Over MUFA & SFA Sounds Huge, But Does it Matter? Is there something to the good vs. bad fat shenanigan, after all? Only recently scientists from the Texas Tech University report that a PUFA-rich high-fat meal led to a greater diet-induced thermogenesis in normal-weight premenopausal women compared with SFA- or MUFA-rich high-fat meals. 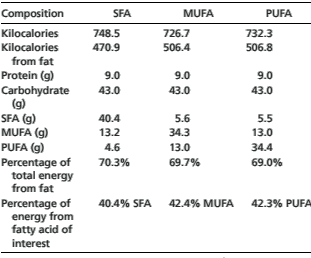 Reason enough to take a closer look at this and previous studies investigating the diet-induced thermogenic effects of PUFA-, MUFA- and SFA-rich meals and to conduct a reality check wrt to the question whether these differences actually matter - I mean, will you get and stay lean by upping your PUFA intake? Let's take a look! Are Men Fat- & Women Sugar-Cravers? Low Fat to Blame for Low Vitamin D Epidemic? In the initially mentioned study, Hui C. Clevenger, Amanda L. Kozimor, Chad M. Paton and Jamie A. Cooper explored the effect of three HF meals enriched with different fatty acids (MUFAs, PUFAs or SFAs) on metabolism in premenopausal women of normal weight. In that, the metabolic parameters of interest included postprandial energy expenditure (EE), which is then used to calculate DIT, and substrate oxidation, which included respiratory exchange ratio (RER), fat oxidation and carbohydrate (CHO) oxidation. Based on previous research in men of normal weight, the Texas Tech researchers hypothesized that the diet induced thermogenesis (DIT) and fat oxidation would be the highest after the PUFA- and MUFA-rich meals and lowest after the SFA-rich meal in premenopausal women - a result of which you already know that it was only partly confirmed. The PUFA-rich meal was ‘base’ plus sunflower oil and flaxseed oil, with 42% of total energy coming from PUFA. The MUFA-rich meal was ‘base’ plus canola oil and extra virgin olive oil, with 42% of total energy coming from MUFA. Finally, the SFA-rich meal was ‘base’ plus butter, coconut oil and palm oil, with 40% of total energy coming from SFA. As the data in Table 1 indicates, the nutrient profiles didn't differ much. The fatty acid composition, on the other hand did, with the SFA meal being the only one with measurable amounts of Butyric, Caprioc, Caprylic, Capric, Lauric, Myristic and Hepatedic acid. Fatty acids of which previous research indicate that they induces an obesity-linked proinflammatory gene expression profile in adipose tissue of subjects at risk of metabolic syndrome (van Dijk. 2009). High MUFA diets, on the other hand, have been shown to potentiate the effects of weight loss in obese NIDDM patients (Low. 1996). 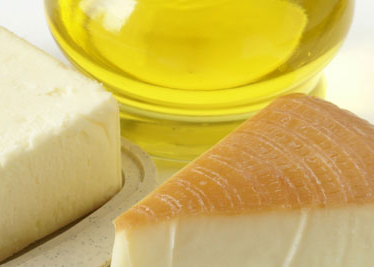 They are the major group of fatty acids in the one oil, everyone appears to agree that it's health (Olive oil). And last but not least, even the allegedly unhealthy omega-6s have been shown in randomized controlled to reduce liver fat and modestly improve metabolic status, without weight loss, when compared to high saturated fat diets (Bjermo. 2012). All of these effects / this evidence could potentially be more important than the increase postprandial thermogenesis in the study at hand - so the ultimate question is: Does DIT even matter? Now, does this increase in DIT matter? Westerterpet et al. who found a negative correlation between body fat levels and the diet induced thermogenesis in their 2008 study (Westerterpet al. 2008), certainly believe it matters. If we look at the total extra diet-induced energy expenditure in 5h after the test-meal in the study at hand, on the other hand, I cannot but ask myself, whether those 1.4kcal can actually make a difference. I am not sure what you think, but considering the fact that you can burn those 1.4 extra calories in less than one minute in the gym, it's hard to believe that the increased thermogenesis alone warrants the layman's conclusion that the study at hand would provide evidence for the superiority ot PUFAs over MUFAs and saturated fats ... what do you think? Bjermo, Helena, et al. "Effects of n− 6 PUFAs compared with SFAs on liver fat, lipoproteins, and inflammation in abdominal obesity: a randomized controlled trial." 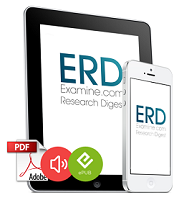 The American journal of clinical nutrition 95.5 (2012): 1003-1012. Clevenger, Hui C., et al. "Acute effect of dietary fatty acid composition on postprandial metabolism in women." Experimental physiology (2014): expphysiol-2013. Westerterp, Klaas R., et al. "Dietary fat oxidation as a function of body fat." The American journal of clinical nutrition 87.1 (2008): 132-135.